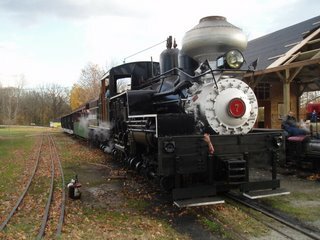 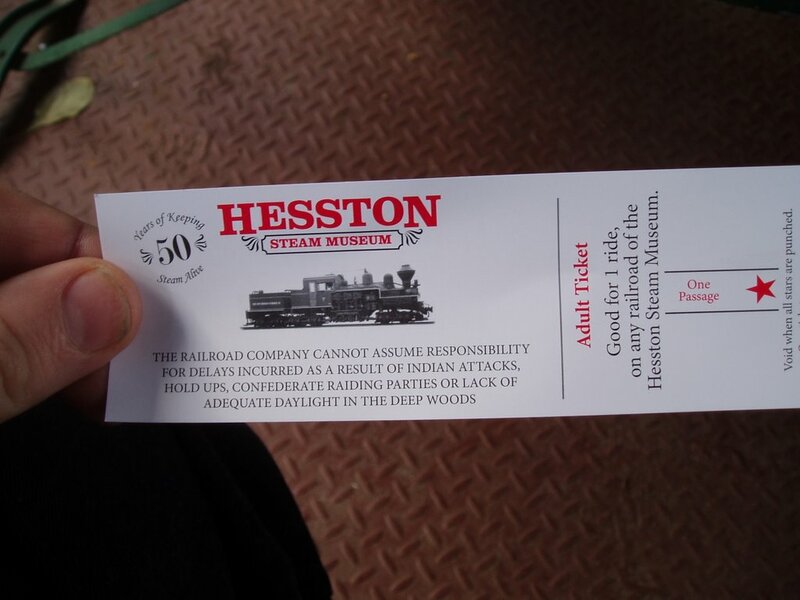 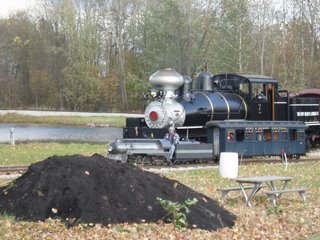 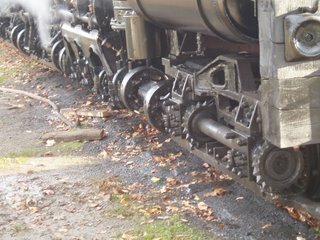 I saw this Shay locomotive at the Hesston Steam Museum over the weekend. I had no idea these things existed. Instead of long connecting rods driving the wheels directly, the pistons drive a crankshaft like you might find in a typical internal combustion engine. 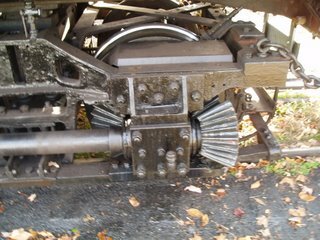 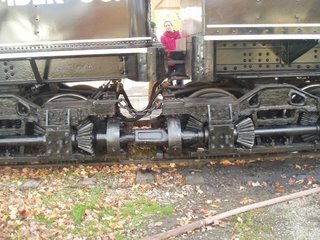 The crankshaft connects to the drive wheels through driveshafts, universal joints, and a ring and pinion gear system, similar to an automotive rear-end gearset. 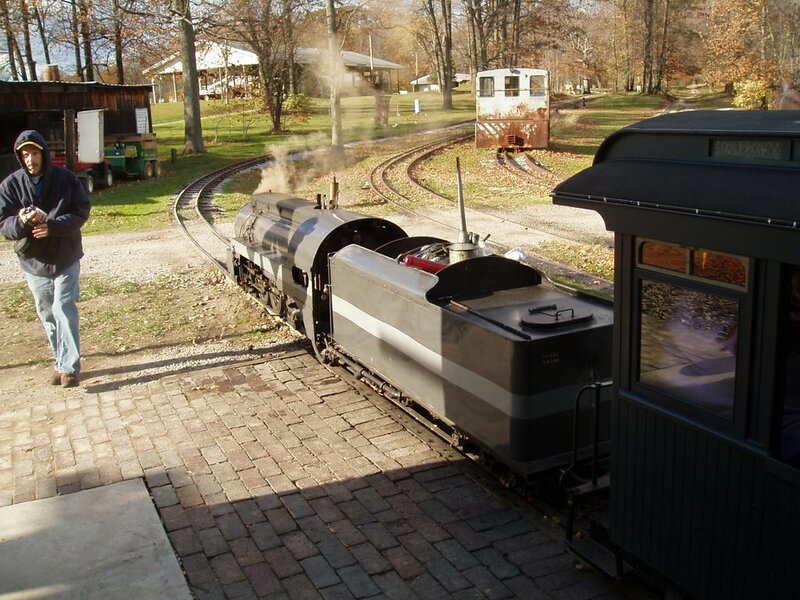 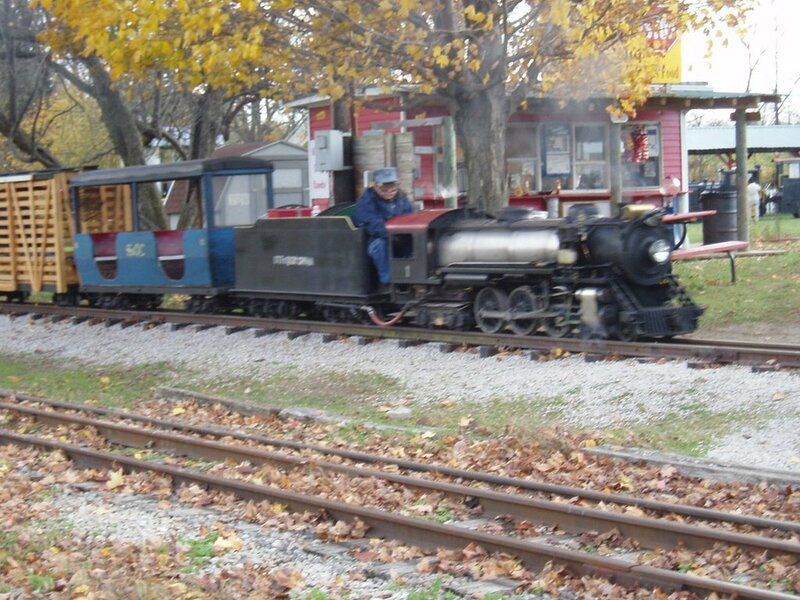 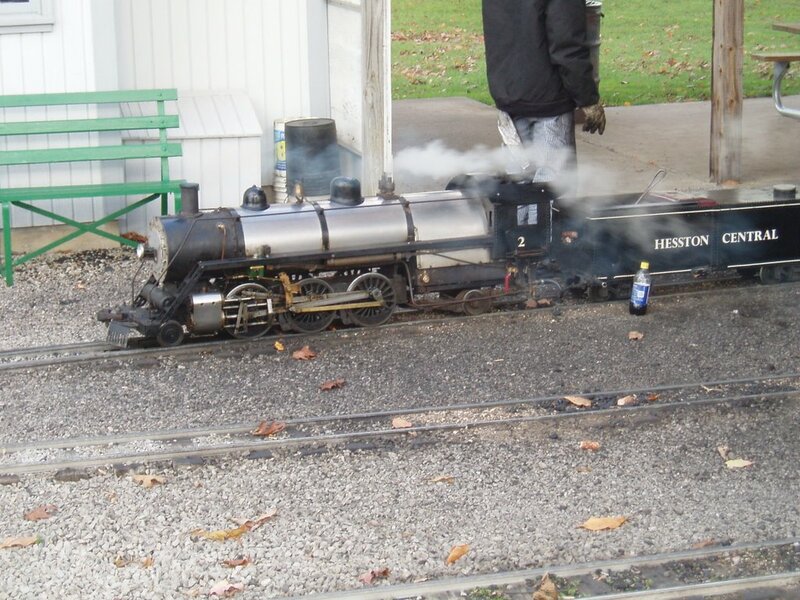 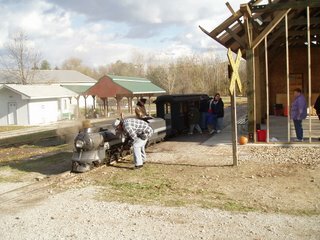 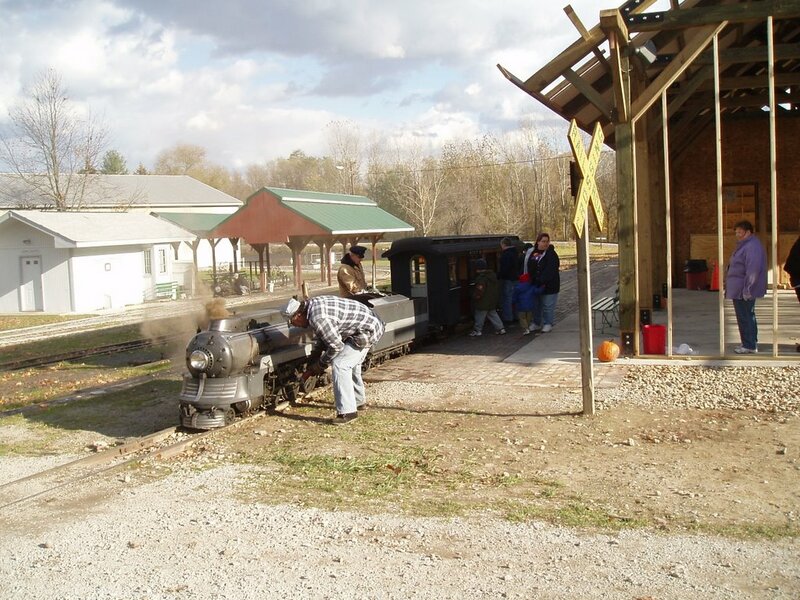 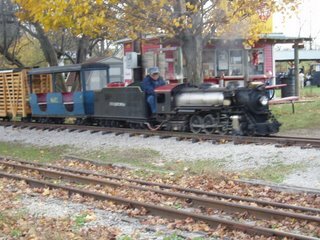 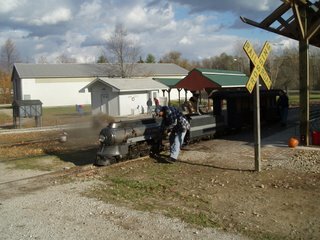 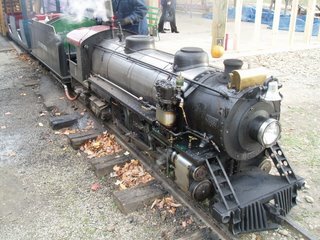 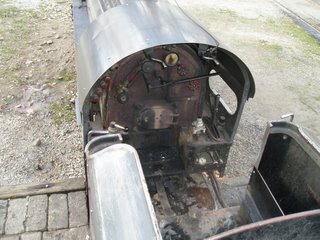 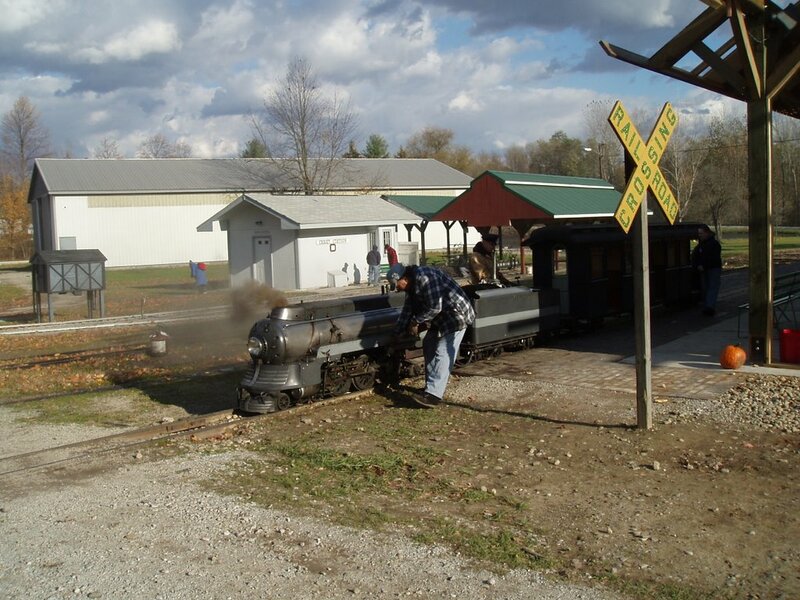 Here are some more pictures, including some miniature steam locomotives. 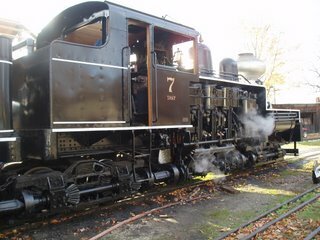 They're nice looking locomotives. We've been restroring one of the two remaining El Dorado County, California, Shays for over a decade. 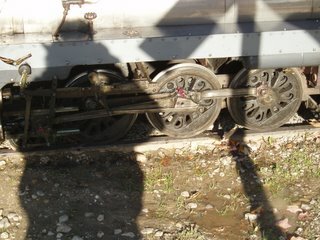 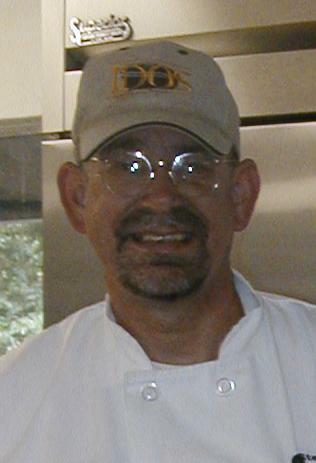 To see more, skip on over to htttp://eldoradowestern.blogspot.com/. 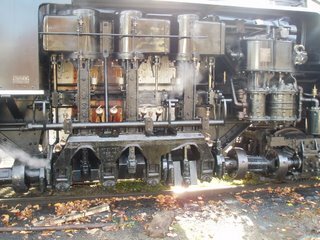 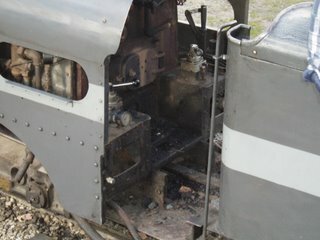 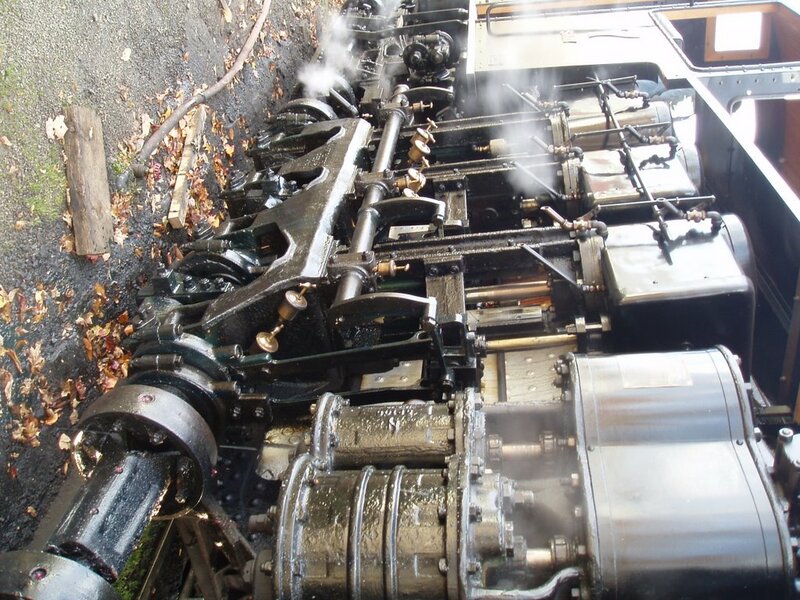 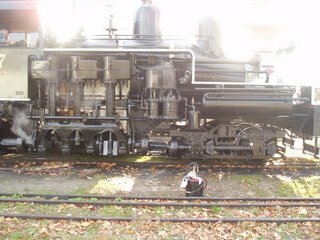 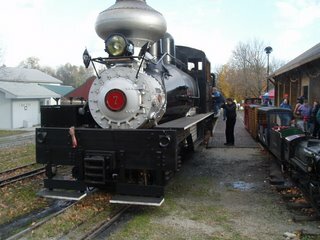 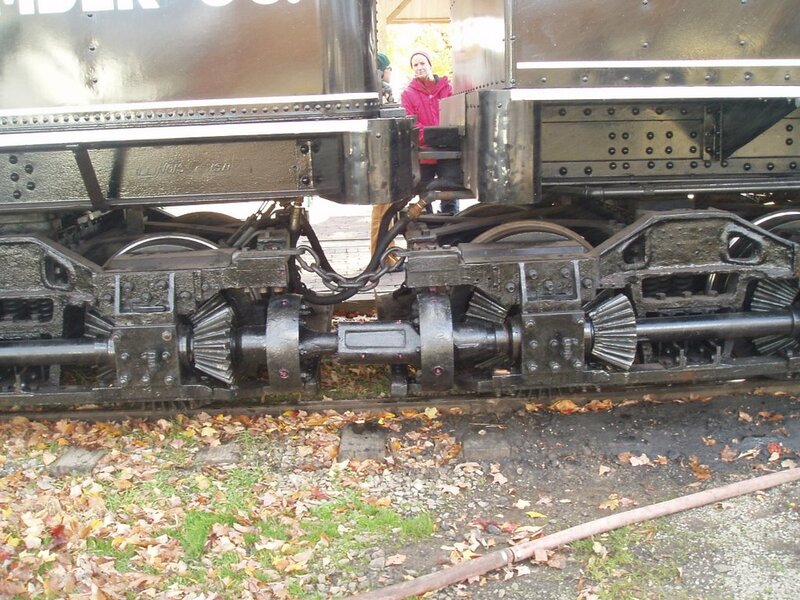 We've been restoring on of the two remaining El Dorado County (California) locomotives for over a decade. Skip on over to http://eldoradowestern.blogspot.com/ to see photos.